Driving around small sleepy town on East coast of India there were a few stalls that had come up to serve breakfast. 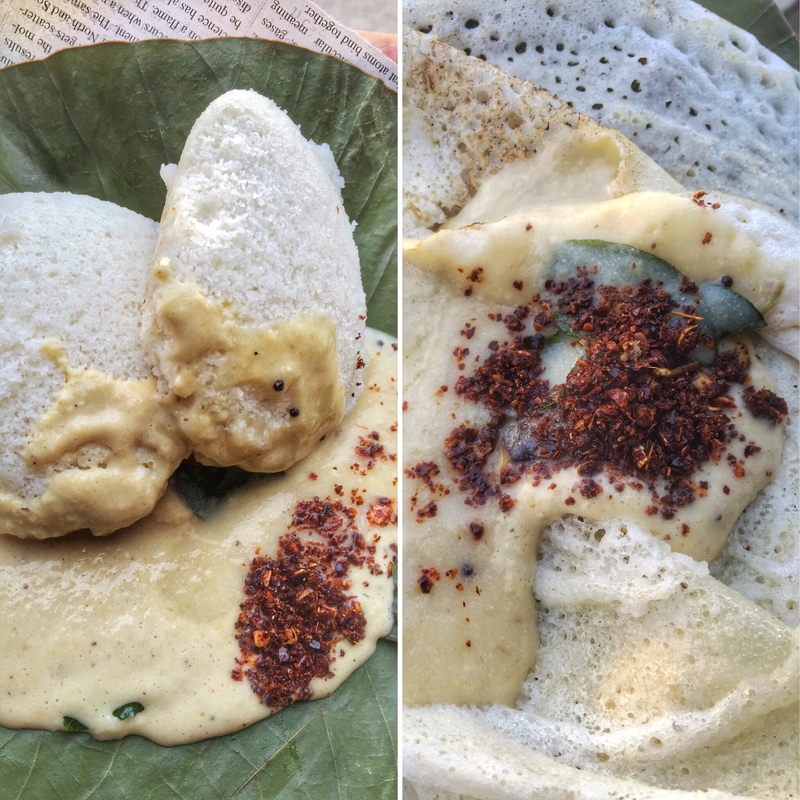 It was 8 am and the steaming idlis were visible almost on every corner. It can be tough to choose which stall to go to, the usual wisdom of following the crowd also was not much helpful as every stall had 4-5 customers eagerly lapping up the hot and fresh breakfast. Most of them stalls seem to be mom and pop operation, and I found one in a quite corner - again serving a bunch of customers. 4 idlis, 3 dosas later I was presented with a shocking bill of Rs.38, almost died of a heat-attack, but thanks to the low fat food I had eaten moments ago, I survived. Loved the chilli powder they sprinkled on top, guess its called Karam here..
Himanshu Gandhi Looks tempting .. How different is this "karam" from the "gunpowder"(milagai podi) / "chutney powder" that we get in South Indian restaurants in Delhi ? Shashank Aggarwal Gunpowder usually is a mix of dal and spices, while this one more towards pure chilly side..
Harsh Narula This is Karam. And ze legendary set dosai. Harsh Narula Karam is the powdered Guntur Mirchi. Maharaja Mirchi. It's a firy Mirchi bro.